@Rick, Could you add me? Yesterday evening / night I updated all German translations. I especially made sure that the usage of access keys in the window menu is consistent and unique. @pagefault: I downvoted some of your suggestions, but only if they contained errors or IMO wrong translations (like super sampling has got nothing to do with "taking samples", so "Probennahme" is the wrong word here). Feel free to review your suggestions (and mine, of course). BTW, we should think about a better translation for "Probennahme" in general. I think it sounds weird, something like the tool name "Farbauswahl" is maybe better. Yeah I thought long about probennahme. It's a weird name. If I remember correctly it already was like this when I started to translate and I had no better idea so I kept it. Did you only change the new ones or really all strings? I'll take a look at it later this week. I filtered all translations by "edited by LWCHris". This gave me 7 pages of translations. I checked them all and usually deleted my translation because yours were at least equally good. 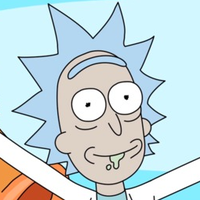 In addition I downvoted Rick's translation and upvoted yours. But most of the time Rick's ones are still the approved ones, so I guess he now has to do something like "approve translations with highest votes". One thing though: You translated NearestNeighboor, but didn't translate Super Sampling or Sampling. For me NearestNeighboor is a technical term that shouldn't be translated either. I'd like to see how translation fits in paint.net. How is it possible to export translation file for debuging? I don't see how you can download files from crowdin, but you can simply use the one in your paint.net installation directory. Thank You, pagefault, for the answer. Hope there is possibility to download finished translation from crowdin. Okay I think I've approved all the new translations. That is, corrections to the ones that I uploaded. However, crowdin's user interface isn't quite good enough for me to feel confident that I've done this correctly. Please go through any translation corrections you've made and verify that everything looks correct. Rick, is there any chance of an updated beta? I'm sure localizers would want to test their work. Alternatively, could you make the resx files generated by Crowdin available for download? TIA! Yes, there will be an updated beta. I've been very busy, it's just taking longer. Thanks. I've made those corrections. I've just made one more small correction. Please go ahead with the approval. Added you, and added Danish as a target language. Thanks! The latest translations are now included in the beta 5226 build. Danish and Norwegian were not included because they are not complete.